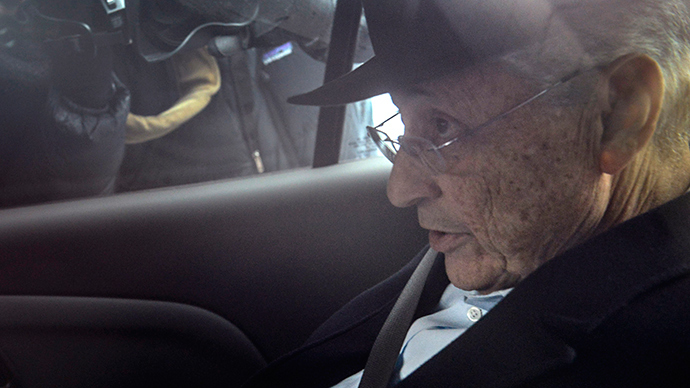 Sheldon Silver, longtime Speaker of the New York State Assembly, has been arrested on federal corruption charges, accused of soliciting millions of dollars through bribes and favors, court documents indicated. According to reports, Silver surrendered to FBI agents early Thursday in Lower Manhattan, where he has lived and represented constituents since the 1970s. In 1994, he became the speaker of the State Assembly and has stayed in that position through five gubernatorial administrations. “I hope I’ll be vindicated,” Silver said, the New York Times reported, before entering 26 Federal Plaza -- the offices for many federal government agencies in Manhattan. He faces charges of mail fraud, wire fraud, and extortion. Silver is accused of “using the power and influence of his official position to obtain for himself millions of dollars of bribes and kickbacks masked as legitimate income,”according to a five-count criminal complaint. #FBI on Sheldon Silver: He "took advantage of the political pulpit" and amassed nearly $4 million in illegitimate proceeds." For more than ten years, Silver allegedly ran a scheme “to induce real estate developers with business before the state” to employ a real estate law firm run by a lawyer, Jay Arthur Goldberg, who had formerly worked as Silver’s counsel and who would funnel payments to the speaker as a result of his referrals to the law firm. The small firm, Goldberg & Iryami, is known as one that has an expertise in obtaining reductions of New York City real estate taxes. Silver had long failed to list payments from the firm on his annual state financial disclosure filings. “There is probable cause to believe that Silver received approximately $4 million in payments characterized as attorney referral fees solely through the corrupt use of his official position,” according to the complaint, which added that Silver did no work for the payments. Federal prosecutors seized approximately $3.8 million from Silver on Thursday. Preet Bharara, the United States attorney for the Southern District, is expected to offer more information on the case at a news conference early Thursday afternoon. The federal investigation into Silver picked up speed, according to reports, after New York Gov. Andrew Cuomo shuttered a state anti-corruption committee. Don't have your kickbacks mailed directly to you, Sheldon Silver. Have them sent to your SuperPAC like Chris Christie does it. Much cleaner. Last year, Silver reported earnings of at least $650,000, including work for the personal injury law firm, Weitz & Luxenberg, the Times reported, even though he is not known to have a specialty in the kind of law the firm practices, known as tax certiorari. His source of income has long been a point of suspicion in Albany, as Silver has withheld details of his work, according to the Times. He also makes $121,000 as Assembly speaker. Sheldon Silver is arguably one of the most powerful non-federal politicians in the country. Taking him down is monumental.